Recently it was revealed that Facebook manipulated some users’ news feeds in 2012 to see if the happy or sad emotions expressed in their friends’ posts affected the happiness or sadness of their own posts. It’s kinda creepy, I agree. But I thought you might find it reassuring to know that even though Facebook is all powerful, it can still be kinda stupid–just like powerful people! The all-knowing Wizard of Oz was just a huckster behind a curtain, and the Facebook algorithm often reveals itself to be less all-knowing than we think it is too. 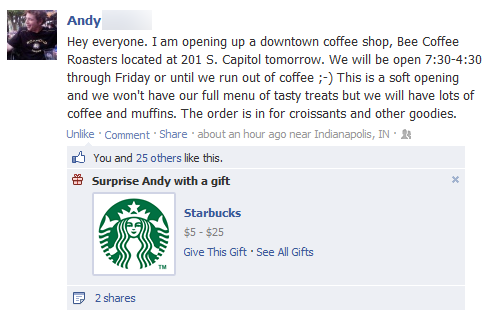 Yes, Facebook, Andy would definitely be surprised if I got him a Starbucks card to celebrate the launch of his store. However, I would not be surprised if he never spoke to me again after that. 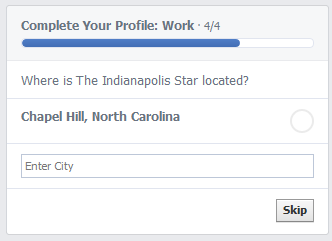 Facebook needs help with geography. We should schedule Facebook a play date with Google Maps. 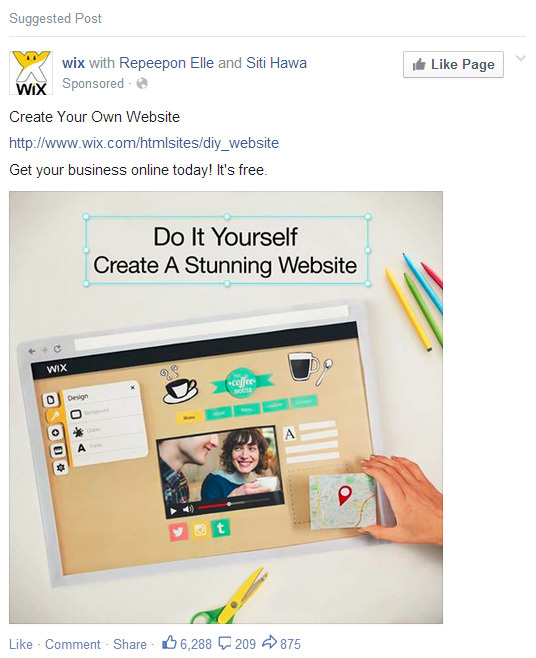 Even though my Facebook profile specifically states I’m a web designer, Facebook feels the need to insert this sponsored post in my feed every now and then. Really, Facebook? You think I need some cookie-cutter template builder to create a web site? I actually feel insulted whenever I see this ad. They read everything I post to my wall and it’s still like they don’t know me at all! 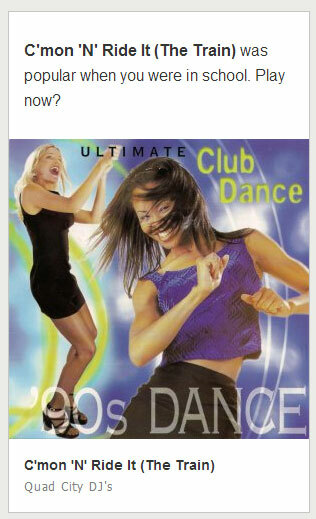 No, Spotify, I can guarantee you I will never, ever, ever want to ride the train. Thank you. Has anyone else experienced a humorous Facebook fail? Not a fail, but I find it scary the way I am bombarded with ads of a certain type after I visit a website. Look at a couple of houses for sale, get weeks of ads for real estate agents. 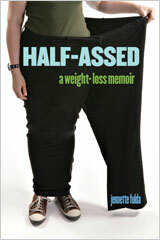 Look at a weight loss site, years of ads for weight loss pills and powders and gimmicks. My recent annoyance with Facebook was that my newsfeed showed as “trending” the result of a competition that was not airing here in Australia until that night! I was regally pissed off. @Natalie – I do find it creepy when I see an ad in my Facebook feed for an item I looked at on ebay. Facebook! You literally have a list of things I like! Why would you do this??? Facebook can’t decide if I am gay or if I want to meet an older man. Not on FB, but I recently got a free subscription to Vogue magazine because I’d shopped at Land’s End. What do you make of that? my biggest peeves though are when i am looking at something online, and it will start showing up constantly in my facebook feed, usually after i’ve already bought the item. 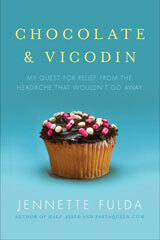 I have not had such an egregious fail, but do enjoy reading bloggers’ experiences. The Starbucks ad cracked me up! !